Madness reigns! BENIGHTED deliver the radical soundtrack to these savage times. With their new full-length ‘Necrobreed’, the French sidestep the steadily growing complexity of their previous albums ‘Asylum Cave’ (2011) and ‘Carnivore Sublime’ (2014) by recalibrating their sound along their roots. ‘Necrobreed’ is the result of modern violence combined with an undercurrent of old school feeling. BENIGHTED keep their grinding influences but classic death metal clearly shows through the fabric. Those insane pig squeals are backed-up by massive growling. Crushing riffing and nuclear drumming meet subtle melodies and hidden hooks are fueling the fury. BENIGHTED were spawned by members from French Death and Black metal bands DISHUMANIZED, DARKNESS FIRE, and OSGILIATH, who joined forces in 1998 for a more brutal, heavy and modern way of expression. When their first self-produced and self-titled full-length hit the streets in 2000, it immediately had a strong impact. This turned a side-project into a main act. A fast-growing fan base was built by a string of acclaimed albums: ‘Psychose’ (2002), ‘Insane Cephalic Production’ (2004), ‘Identisick’ (2006), and ‘Icon’ (2007) were all enthusiastically received. On the live front, BENIGHTED quickly started to capture audiences with sweat driver performances that bulldozer any resistance mercilessly aside. This allowed the French to climb up the ladder fast and soon came invitations to all major European festivals including Neurotic Death Fest, Hellfest, Wacken, Brutal Assault, Summer Breeze, and Inferno Festival among many more. BENIGHTED recorded ‘Necrobreed’ once again in Germany’s Kohlekeller Studio in continuation of a very successful relationship. The other constant with these brutal death addicts is an album concept that comes based on a theme revolving around the abysmal potential of the human psyche. This time vocalist (and caretaker in a mental asylum) Julien Truchan penned lyrics dealing with a man, who is stitching dead animals to his abdomen. On feeling the warmth of his infected flesh, the schizophrenic « gives birth » to the carcass and places it in his house as the result of a severe childhood trauma involving a dead cat. ‘Necrobreed’ gives an extreme musical voice to the madness lurking within. Let your mind be shaken by BENIGHTED. In case of side effects, please see a doctor. 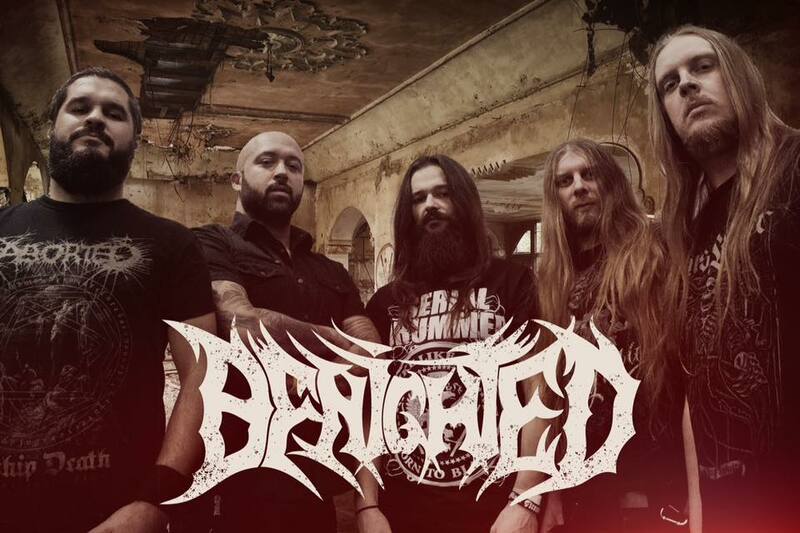 © 2019 Benighted – Official Website. All Rights Reserved.